If you’re on a diet, you might want to stop reading… On second thought, these are totally worth it! And you can just eat a couple, right? 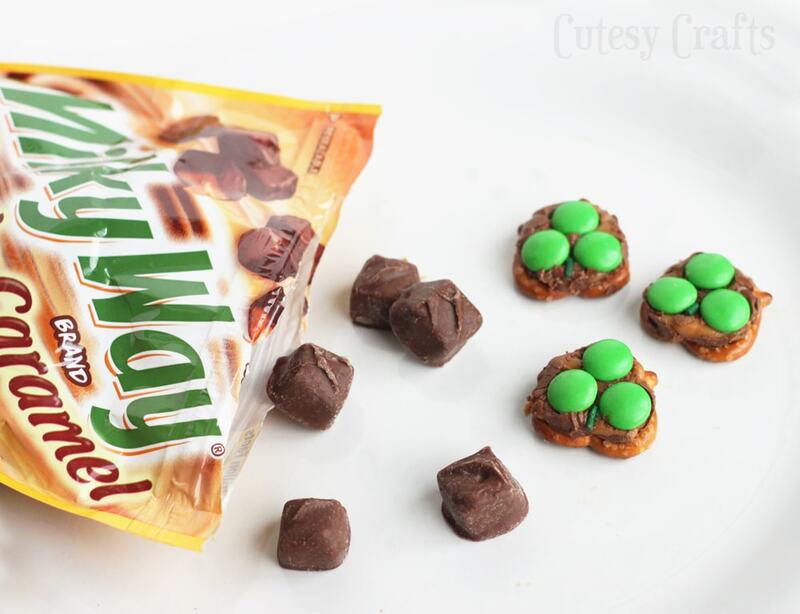 But seriously, these Milky Way Pretzel St. Patrick’s Day Treats are amazing! 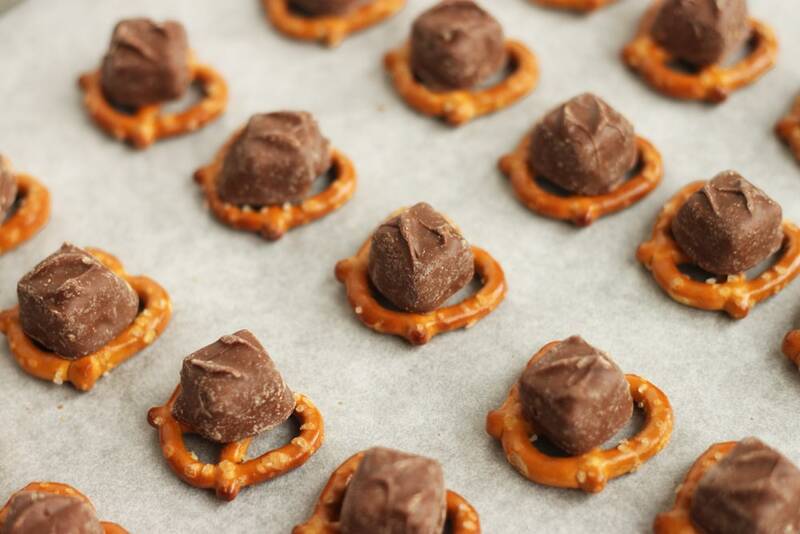 Chocolate and caramel on top of a salty pretzel?! These did not last long in our house. 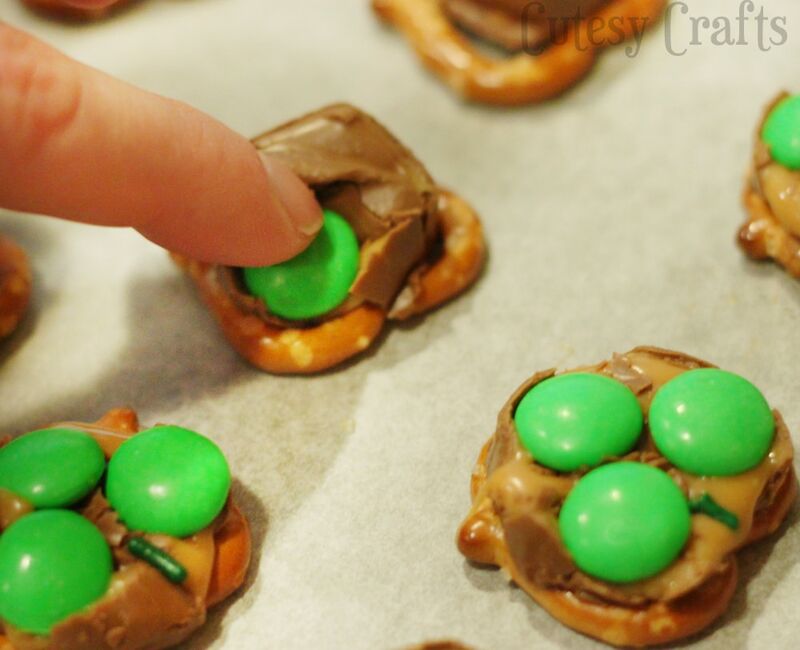 To make these yummy St. Patrick’s Day treats, I used Milky Way Simply Caramel Bites. 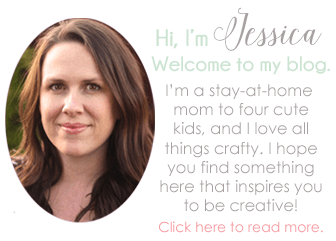 They are perfect for making treats because they are already unwrapped and ready to go. They’re also great for snacking. I had to force myself to stop eating them. I’m a sucker for chocolate and caramel! I took a trip to Walmart’s to pick some up. 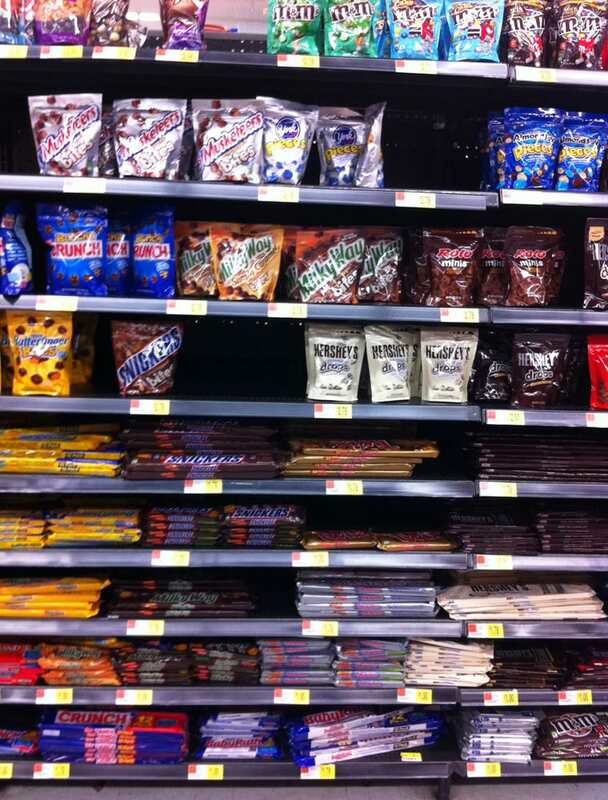 Ahhh… the candy aisle. My favorite! Right now, you can print out coupons to receive $0.75 off when you buy (2) 2.83 oz. bags or $3.00 off when you buy (2) 6 oz. bags or larger. Preheat oven to 350°. Place pretzels on a a cookie sheet lined with parchment paper or foil. 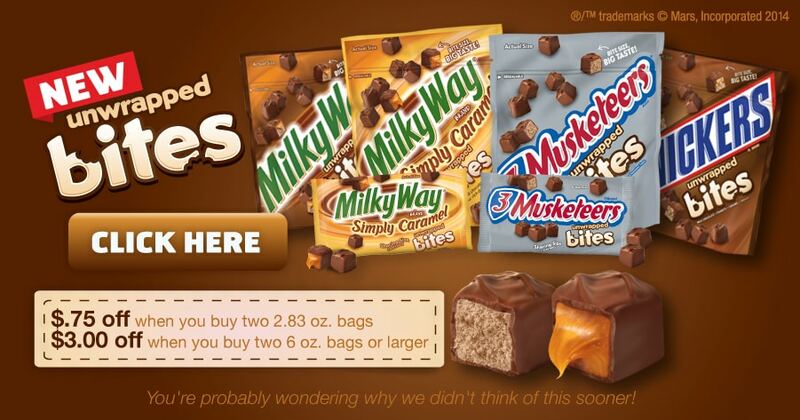 Place one Milky Way Simply Caramel Bite on top of each pretzel. Bake for about 5 minutes (until chocolate is soft but not melted). While the chocolate is still soft, press three green M&Ms into it. 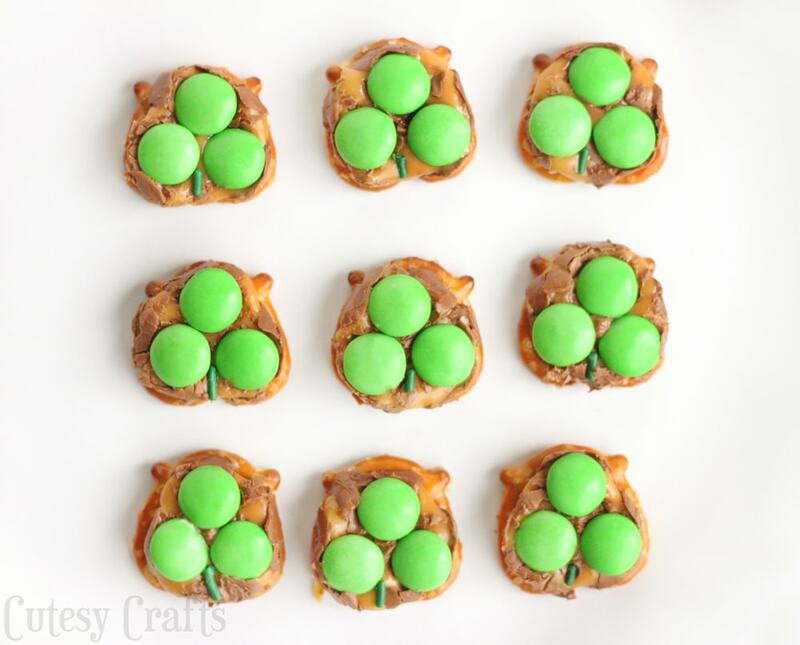 Place the M&M’s above the “holes” in the pretzels to get a cute shamrock shape. Add a green sprinkle to make a stem for each shamrock. 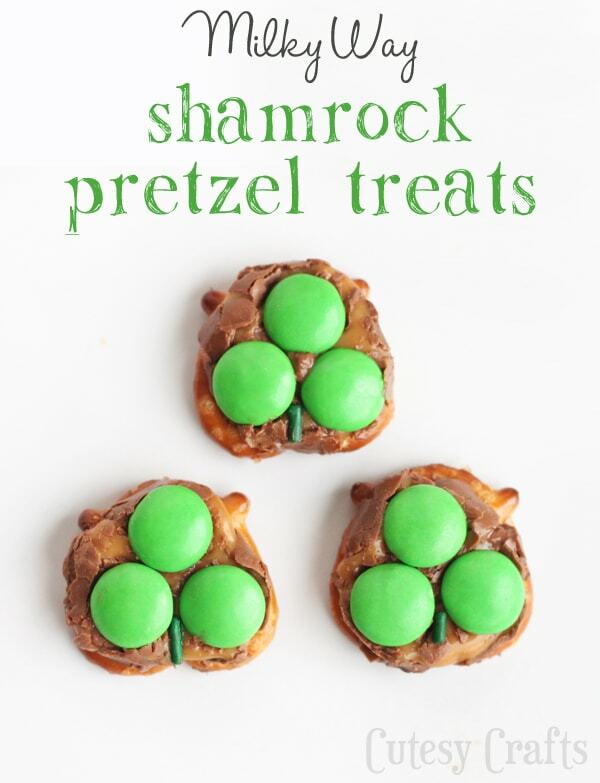 A perfect little St. Patrick’s Day treat and SO SO good! What do you think? Got any plans for a St. Patrick’s Day dessert? Thanks Brandi! They were so yummy! LOVE this! Added bonus they are so easy to make. Thanks Kathy! Yep, super easy to make. Oh my gosh, those are super cute! This is something my boys and I could make so easily! Thanks Mimi! Totally something you could do with the kids! Oohhhh…I like that you used sprinkles. At first I thought it was frosting and I was thinking I could never pipe a line that small so neatly! So cute! 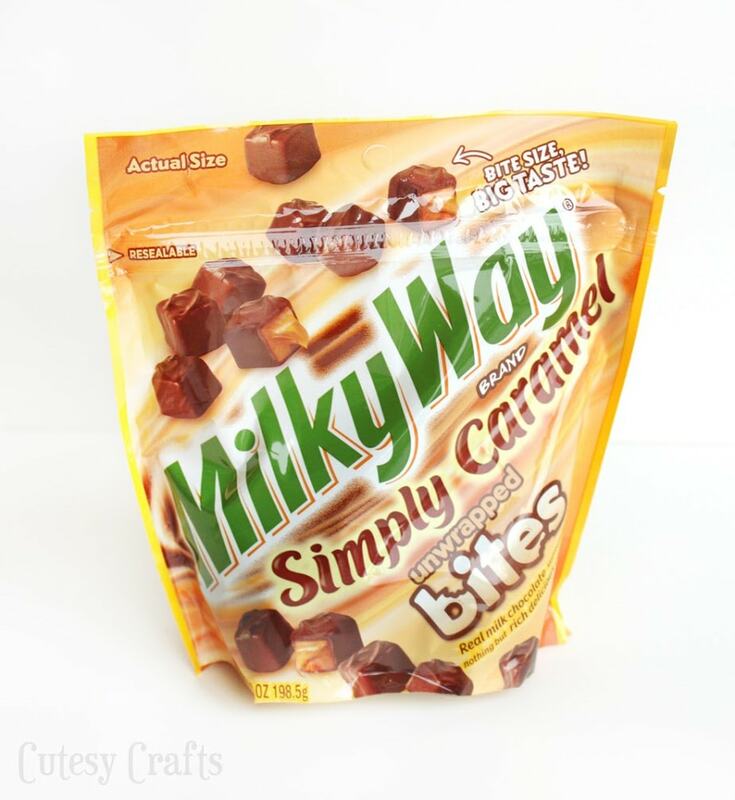 Best I can tell, the Milky Way Simply Caramel bites are no longer available. I tried a couple of stores and then just went with Rolos. We also tried Milk Duds, but my kids liked the Rolos better. Oh, good to know! Rolos sound like they would be just as good. Glad you were able to find something that worked!